Established in 1954, the nonprofit American Solar Energy Society (ASES) is the nation's leading association of solar professionals & advocates. Our mission is to inspire an era of energy innovation and speed the transition to a sustainable energy economy. We advance education, research and policy. ASES is the U.S. section of the International Solar Energy Society. The GW Solar Institute identifies, creates, and shares pragmatic solutions to the public policy barriers preventing the adoption and scale of solar energy. The North American Board of Certified Energy Practitioners (NABCEP) is the “gold standard” for PV and Solar Heating Installation and PV Technical Sales Certification. Raising industry standards and promoting consumer confidence, NABCEP offers certification and certificate programs to renewable energy professionals throughout North America. The NABCEP is the most respected, well-established, and widely recognized certification organization for North American solar professionals in the field of renewable energy. NABCEP was founded with the mission to support and work with the renewable energy and energy efficiency industries, professionals and stakeholders to develop and implement quality credentialing certification programs for practitioners. Oak Ridge National Laboratory is a multiprogram science and technology laboratory managed for the U.S Department of Energy by UT-Battelle, LLC. Scientists and engineers at ORNL conduct basic and applied research and development to create scientific knowledge and technological solutions that strengthen the nation's leadership in key areas of science; increase the availability of clean, abundant energy; restore and protect the environment; and contribute to national security. ORNL also performs other work for the Department of Energy, including isotope production, information management, and technical program management, and provides research and technical assistance to other organizations. The laboratory is a program of DOE's Oak Ridge Field Office. For more than 60 years, Sandia has delivered essential science and technology to resolve the nation's most challenging security issues. Sandia National Laboratories is operated and managed by Sandia Corporation, a wholly owned subsidiary of Lockheed Martin Corporation. Sandia Corporation operates Sandia National Laboratories as a contractor for the U.S. Department of Energy’s National Nuclear Security Administration (NNSA) and supports numerous federal, state, and local government agencies, companies, and organizations. As a Federally Funded Research and Development Center (FFRDC), Sandia may perform work for industry responding to certain types of federal government solicitations. The solicitation must allow FFRDC participation and meet the requirements of Sandia's management and operating contract with DOE/NNSA. A strong science, technology, and engineering foundation enables Sandia's mission through a capable research staff working at the forefront of innovation, collaborative research with universities and companies, and discretionary research projects with significant potential impact. Solar United Neighbors is the only organization in the country dedicated to representing the needs and interests of solar owners and supporters. We’ve been helping people go solar, join together, and fight for their energy rights since 2007. We are a 501(c)3 non-profit. The Sustainable Energy in America Factbook – produced for the Business Council for Sustainable Energy by Bloomberg New Energy Finance, provides up-to-date, accurate market information about the broad range of industries — energy efficiency, natural gas and renewable energy— that are contributing to the country’s move towards cleaner energy production and more efficient energy usage. The Federal Energy Regulatory Commission, or FERC, is an independent agency that regulates the interstate transmission of natural gas, oil, and electricity. FERC also regulates natural gas and hydropower projects. Assist consumers in obtaining economically efficient, safe, reliable, and secure energy services at a reasonable cost through appropriate regulatory and market means, and collaborative efforts. We believe that one of the greatest obstacles to the adoption of solar is lack of awareness. As solar power reaches grid parity in the United States–the point at solar energy becomes as cheap or cheaper than power from other sources–the only thing standing in the way of full-scale adoption will be knowing what the options are. Our goal is to help bridge the gap for homeowners with information, news, and how-to’s on going solar. Since 2002, Vote Solar has been working to make solar affordable and accessible to more Americans. We work at the state level all across the country to support the policies and programs needed to repower our grid with clean energy. Vote Solar’s approach to advocacy combines deep technical and policy expertise with public education and mobilization. We build both the fact-based case and the political will needed to accelerate solar progress. As the central and chief policy-making body for the District of Columbia, the Council’s mission is to provide strong, innovative and effective leadership for the benefit of residents across the city. The Council’s central role as a legislative body is to make laws. However, its responsibilities also include oversight of multiple agencies, commissions, boards and other instruments of District government. The RPS Portal is a convenient and secure way to become a certified renewable energy generator serving the District. Through the RPS Portal, users can submit and track their RPS application and stay informed about the District’s progress towards a sustainable future. The Maryland, DC, and Virginia Solar Energy Industries Association (MDV-SEIA) has recently received numerous inquiries from Virginia HOAs asking us to assist with the writing of solar installation guidelines for their covenants. We have also had requests for assistance from individual home owners whose HOAs were prohibiting their proposed solar arrays. This document is intended to provide MDV-SEIA’s position on the matter, assist HOAs with compliance with the law, and provide general guidelines for what could be considered reasonable restrictions for solar array installations. A product of good public policy and market growth, Maryland currently supports 165 solar energy companies and employs 5,429 solar workers. According to the Bureau of Labor Statistics, the national average compensation for solar installers is $18.87 per hour. In 2016, Maryland added 1,160 new solar jobs, a 27% increase from the previous year. Beyond creating jobs and uplifting the local economy, investing in solar demonstrates a community’s commitment to sustainability and presents the opportunity for savings. Solar can also protect communities from rising energy costs and provides an opportunity for homeowners to boost their property values. Businesses can lock in low electricity prices for decades by investing in a solar array. On June 19, the process of soliciting input regarding Virginia solar programs and policies began with a public meeting held at Virginia Commonwealth University. More than 80 members of the public participated in that conversation. They, and others, were invited to participate in subsequent subgroup meetings which took place leading up to a public session to be held October 30, 2017 in the Patrick Henry Building in Richmond. Based on conversations within those groups, the topics for conversation on October, 30 will cover the areas described in this document. It should not be construed that consensus has been reached or that any of these areas are final recommendations of the Rubin Solar Collaborative Workgroup. Each of these topic areas are provided in advance for discussion purposes only. Stephen Lacey, host and producer of "The Energy Gang" and "The Interchange" podcasts, released this guide on LinkedIn for individuals looking to transition to clean energy jobs. Humans played a big role in the changes to the earth’s climate over the last century, and scientists predict catastrophic problems if climate change goes unchecked. America is the second largest contributor to carbon dioxide in the world but accounts for only 4.4% of the global population, which means people in the U.S. can make great strides in the fight against climate change with the right tools, information, and resources. College is a great place to start, and there are many opportunities for involvement as a student. See what climate change experts have to say on the matter and learn more about the different ways you can get involved on campus and beyond. Solar in DC has shifted significantly towards commercial installations over the last two years. Because of this shift, DCRA has published an updated Solar Permitting Guidelines. This valuable resource and guide will assist homeowners, developers and the solar industry in understanding DCRA's and related agency's solar permitting processes (including Pepco and Solar Renewable Energy Credits). The new edition of the guide includes updates about the permitting process at DCRA, which has made the shift from paper plans to pure electronic permitting. Everyone should have the right to go solar on their property. Some states enshrine that right with solar access laws, which prohibit local governments and homeowners’ associations (HOAs) from preventing homeowners from going solar. Unfortunately, not every state has these laws; even in some that do, HOAs may still have outdated policies that block homeowners’ solar access and propagate solar myths about aesthetics and property values. Solar United Neightbors' guide can help you overcome HOA objections to your solar installation and to provide practical advice to make your HOA solar-friendly. 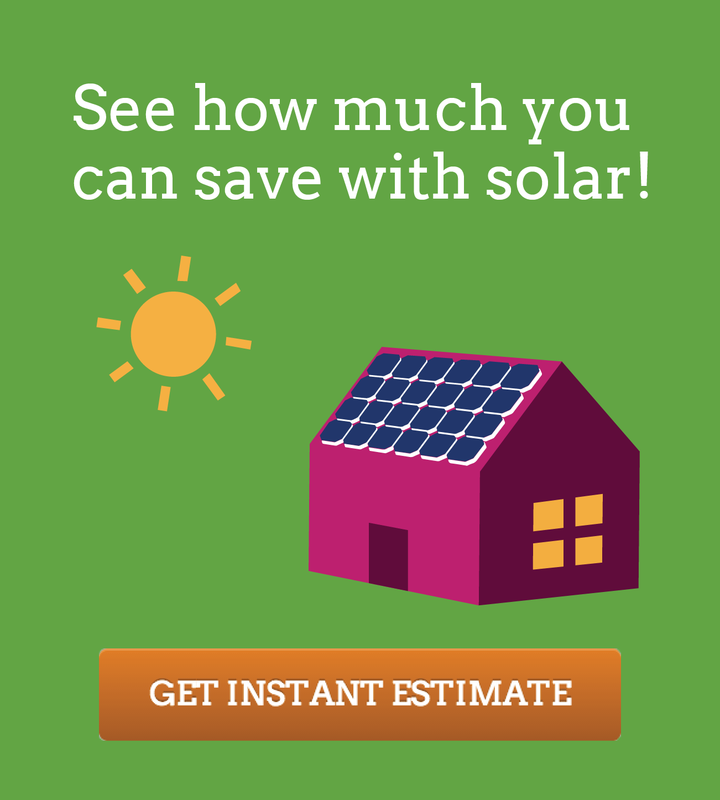 A guide to various approaches in determining the value of residential solar systems. The Low-Income Solar Policy Guide was originally developed and launched in 2016 by nonprofits GRID Alternatives, Vote Solar, and the Center for Social Inclusion, to help drive the proposal and adoption of new low-income solar policies and programs, both as stand-alone efforts and as part of broader renewable energy programs. GRID Alternatives and Vote Solar are current contributing partners to the Guide. It is meant to be a tool for policymakers, community leaders and others who are working on solar access at the federal, state and local level.their development of new on-site solar projects. This website examines six key issues that have important implications for developing on-site solar projects. Each topic area offers a brief summary of the issue, identifies key resources, and addresses major questions and hurdles key sustainability experts have identified as information gaps or obstacles in their development of new on-site solar projects.